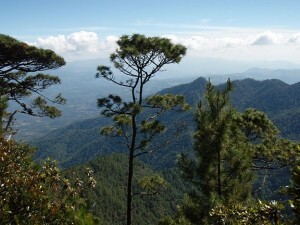 Distinction: Highest mountain of Honduras. Photos of Honduras and Cerro Las Minas. 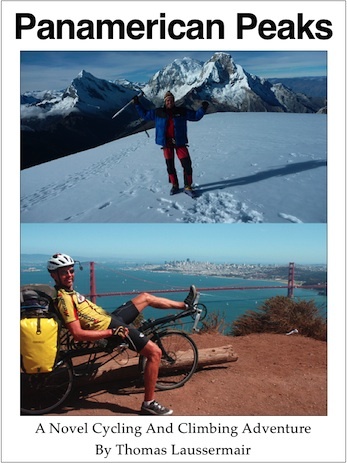 Summary: I climbed Cerro Las Minas in early December 2009 in one intense 8 hr day from the little village of Gracias. There are no difficulties worth mentioning, except the trail system is not very well marked and can be somewhat confusing. I took a wrong turn and wasted about 1.5 hrs of time and a lot of effort during an already tight schedule to literally run up & down the mountain to catch the evening bus back to Santa Rosa de Copan where I had left in the early morning. As the mountain is entirely covered in forest one rarely has a good view of the surrounding area, even from the summit one can only see glimpses through the trees. The most dangerous aspect of this climb was the bus ride back in the evening, when our bus got hit by a pickup truck, which was destroyed and whose driver was badly hurt in the accident. The climb is described in the Blog post ‘Summits on El Pital and Las Minas‘.